If we talk about the importance of your workout wardrobe, the first thing on the list is your running shoes. They’re the most important part of a comfortable and injury-free physical exercise. While other equipment is also important, your running shoes are the most vital aspect of a good running experience. Choosing the perfect running shoes can be difficult, especially for beginners who don’t know what to look for based on their physiology and their needs. In this article, we’ll cover all the information necessary to help you choose the best running shoes for you. Finding your ideal pair is based on making an informed decision, plus also trial and error to find the most comfortable fit. There is a simple test that can be done to determine the type of foot you have. It’s called the ‘Wet Feet Test’, and is a very simple one to do and understand. Pronation is simply the natural movement of the foot that happens during foot landing when you walk or run. Pronation is a necessary component of the gait cycle. A gait cycle is the time period during walking or running in which one foot contacts the ground to when that same foot again contacts the ground, and involves forward propulsion of the centre of gravity. Neutral Pronator: Between 20-30% of runners are neutral pronators. You hit the floor with your heel and you roll towards the toes. Your arch absorbs the impact by lightly collapsing inward. This foot type can wear a wide range of running shoes. You want a shoe that has a good mix of stability, durability, and cushioning for a great running experience. Overpronator: If you overpronate, it means the arch of your foot stretches too much. This causes your feet to not absorb the shock correctly and leaves you open to a lot of injuries. To avoid injuries, overpronators need to wear footwear with structured cushioning or support. Supinator (Underpronator): This means the arch of your foot stretches too little or not at all. This also makes you very susceptible to injuries based on shock stress. To avoid impact injuries, supinators need footwear with a lot of cushioning. While there is no perfect model from a perfect brand that works for everyone, there are certainly some brands that offer products of a higher quality than others. But keep in mind that the quality of materials used is more important than the design. Some running shoes might look better than others, but that doesn’t make them better for running. Look for runners reviews of specific brands and see what kind of materials they use to offer support, stability and cushioning. If you are a beginner in running, client reviews are a great start to choose a pair that is high-quality and hopeful not the most expensive. While online shopping might be easier or cheaper, you have to feel the shoes for yourself. Some stores offer “gait analysis” to help you find the proper shoes for you and for your pronation type. If you still prefer ordering online, you can search for the needed model in an offline store, and find that model and size online. Take note that some retailers will charge a price for “gait analysis” that doesn’t result in a purchase inside the shop – therefore make sure to clearly ask the clerk if you can do the analysis without having to buy. The shoe size you use on your running shoes might be different from your regular shoes simply because you need more comfort or maybe an extra pair of socks. This is also a reason why it’s recommended to try on the pair of running shoes before buying them. Some people need to buy bigger sizes because of how their feet are constructed, and that is something that you can see only if you try it yourself. There are different types of materials that are used for running shoes and we’re not going to waste too much time on this kind of information. But there are some basic things to cover. Running shoes can be breathable from a mesh-like material that allows your feet to breath, and are recommended for summer runs. They can also be waterproof and more dense for weather which isn’t so welcoming. Depending on the season you’re running in and the type of terrain you run on, choose the type of running shoes that are more suitable. Running shoes come with a variety of types of soles, depending on your needs. You might need something with more cushioning for hard terrains and better shock absorbing, flats for racing on soft terrain or a combination of both. Always keep in mind to choose the running shoes with proper shock absorption or you can set yourself up for injury. When you’re running on hard surfaces, you ALWAYS need some kind of shock absorption. Even if there’s no immediate pain that can be felt after running, continual running without the right shock absorption can lead to all kinds of long-term (and painful) problems. The weight of the running shoe can make a difference if you are looking to get the best speed possible. A running shoe can weigh anything between 200 and 300 grams. Some companies even claim to have lightweight shoes under 200 grams. Brands often compete to create the best lightweight running shoes – but that doesn’t necessarily mean they’re good for running. There’s a fine line between having the perfect shoe weight and being high-quality. Also, having the most lightweight running shoes doesn’t guarantee the best competitive results, but it’s one of the things to consider when buying a pair. We already talked about the pronation types and how to choose your running shoes based on your needs. If the wet test is too complicated or you can’t figure it out which pronation type you are, one of our Physiotherapists can help you find the answer to that question. This is one of the most important factors that need to be taken into account when buying running shoes. Buying the wrong type can be hurtful, unpleasant and even dangerous. 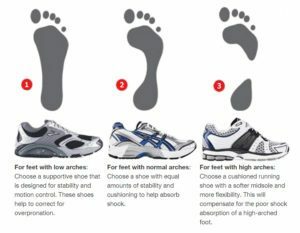 There are different types of running shoes for different types of feet. The comfort aspect is necessary because if they’re too tight, the running experience will be painful. This is also the case if the shoe is too loose. Your toes need to feel comfortable inside of them and shouldn’t be touching the top of your shoe. You need to test your running shoes before purchasing and make sure your feet feel super comfortable in them. Even the best running shoes in the world are not going to be right for everyone – so make sure you focus on comfort over style every time. It’s easy to assume that the most expensive shoes are the best, but this isn’t always the case. Running shoes are an investment, but that doesn’t mean only the highest investments are the best quality. There are a lot of happy customers with mid-range or cheaper running shoes. 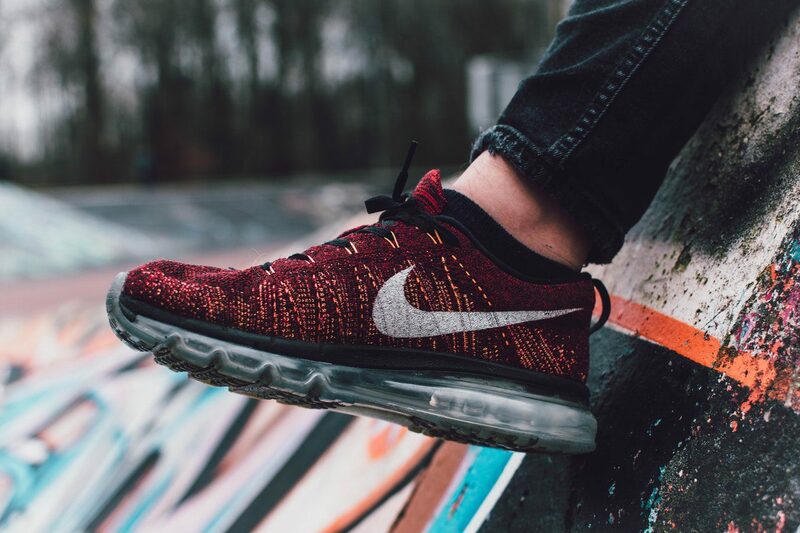 While the materials need to be high-quality, often times the highest priced running shoes have that price tag because of the brand and the many designers that worked on them. It’s also a matter of personal taste. Some people like to spend a lot of money on their clothes and some people don’t. Luckily, there are running shoes for all kinds of budgets and that doesn’t necessarily mean a decrease in quality. Also, a running shoe must be replaced regularly, therefore, it’s better to stick to what you can afford and replace at regular intervals rather than buying something expensive that you feel obliged to wear for a prolonged period of time before finally replacing. 10) Number Of Pairs / Kilometrage. It is said you shouldn’t run with the same pair of shoes two days in a row, so as to allow the foam and shock absorbent materials to spring back to its original form. The kilometrage of a pair of running shoes is 600 km or around 400 miles. After you run this much, you should replace them. This is one of the reasons budget is important, because it’s a higher priority to be able to replace your old pair than to have the most expensive brand. When shoes get over the usage limit, the quality of the materials greatly decreases. Running shoes are tested to resist only a certain amount of time running. Like the tyres on your car, they need to be replaced before causing injury. As you can see, there are a lot of things to consider before choosing the perfect pair of running shoes. They are more personal to you than the perfect pair of pants or a jacket. They need to fit you well, make you comfortable, and offer you the support and cushioning you need for your activity. While you need to inform yourself well before making a decision, trial and error will help you find that perfect pair that fits all your needs. I hope you found this post helpful. If you need help with any kind of sports injuries, please don’t hesitate to contact us on 01285 654059 and speak to a physiotherapist for free who will be able to help and advise.